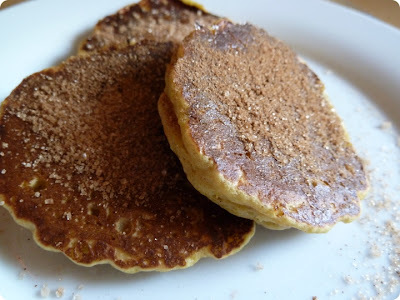 With the last smatterings of the Winter chill starting to abate, I've been craving the comforting taste of cinnamon-sugar before Summer arrives along with all it's lightness. 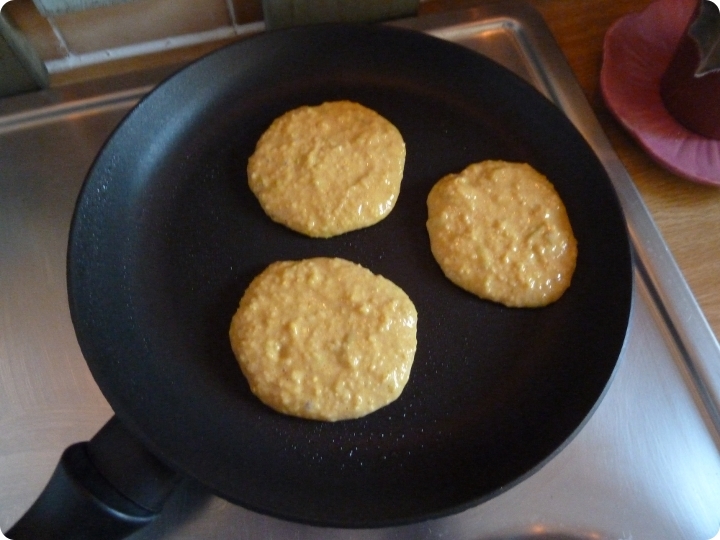 I whipped these flapjacks up on three successive days. On the first two, I just tossed ingredients in a bowl till the texture seemed right. But on the afternoon of the third batch, I realised that this recipe was worth taking note of, and so put measurements to my kitchen mayhem. Zhoesh apple + sugar + cinnamon + 25ml water in a food processor till mushy. Stir flour + 25ml water together, then stir in apple mixture. Lightly oil a non-stick crepe pan. 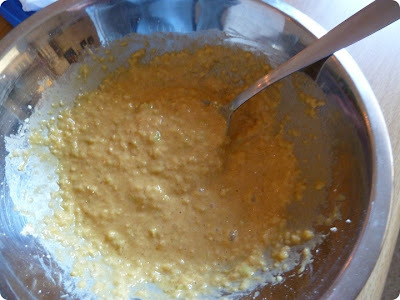 Fry batter by the dessert spoon over a medium-low heat. Flip when bubbling. I love the addition of chickpea flour in those pancakes! Very healthy and delicious! I will have to try this recipe. 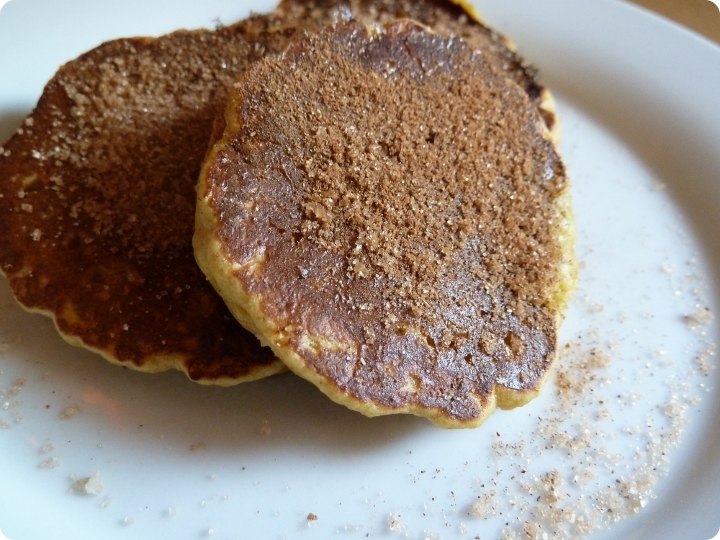 I've made chickpea flour pancakes before, and I was not crazy about them. But the apples I think will help it a lot. PS. Love the concept and visual realization of your new banner. I'd make it a bit larger because it is so cool and should not be sub to the rest of the page content #mytwocents. "Zhoesh" is exactly the right word for this step. Love the idea of making these with chickpea flour. Yum yum yummy! And I see you have changed your blog look...loving the new "you"! Very nice idea to use chickpea flour in pancakes! And how I wish I was in your hemisphere now, anticipating the summer! Lovely recipe. Also really loving the new layout here. I do believe you've made some changes. Lovely flapjacks. I could wake up to those. Winter chill, huh? Dude, it is like 1000 F, where I live. Those look fantastic! And I love the new header. Oh! I want to try your recipe!! this looks fab! yum~never thought to use apples and cinnamon! looks delish. I never made flapjacks, and these look just amazing! I made these and DD (5 years old) liked them. They didn't bubble much is there meant to be egg in them? They slightly stuck to the non-stick pan with a little organic light tasting extra virgin olive oil. 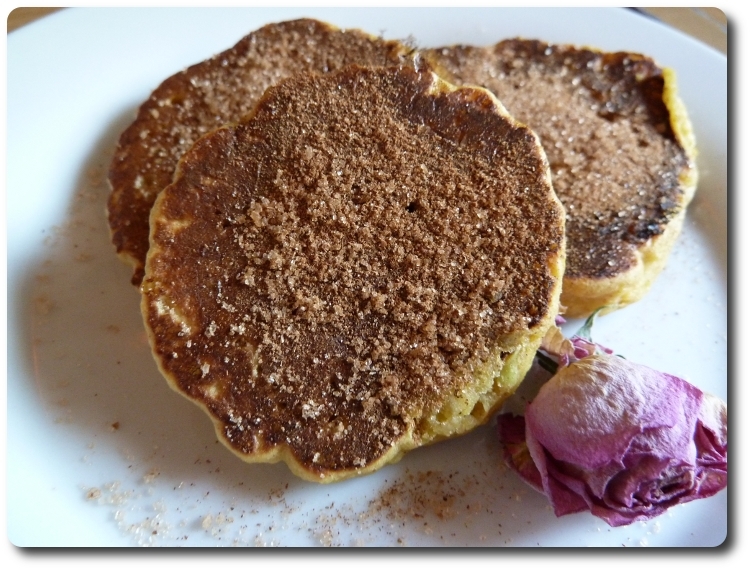 I used Macintosh apple as that is what I had on hand, I think I over blended the apple as I didn't know what zhoesh meant and then I saw your batter, the cinnamon I use is the stuff sold here as such but it is really cassia bark, the sugar I used was organic raw sugar. The chickpea flour is binding enough to work without eggs. Also, I recently found out I can't eat eggs, so many of my recipes exclude them. However, adding in an egg (if you reduce your other liquid to compensate) certainly wont do any harm. Experiment and see what works for you.